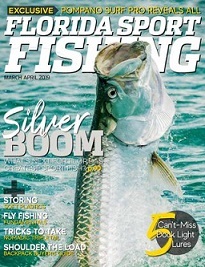 Florida Sport Fishing is the #1 resource for fishermen and boaters across Florida and The Bahamas. Each issue is jam packed with informative editorials, intelligently written columns, easy to follow illustrations and award winning photography. If you fish in Florida or wish you did, Florida Sport Fishing is a must have for novice and expert anglers alike.